MINIATURE MULTIVERSE AS A CONCEPT began with a daydream of an idea - what if you could wander around visually detailed artistic miniature settings, like a really nice handcrafted model railroad layout or similar, in first person view? Now I know I can do that. Not only will there be many dozens of panoramic-interface views captured inside handcrafted miniature art worlds, but they'll be integrated into the start of a bigger puzzle/adventure game that will expand to 25 imaginative explorable spaces, finally available to play through in April 2019... maybe even additional bonus worlds beyond that for a long time if the project's a hit. 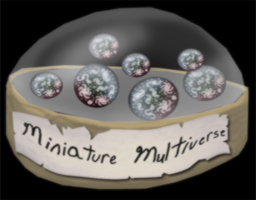 Miniature Multiverse is going to be a full-fledged game, with puzzles. Relatively easy, but still. I've heard the cries from those who want more than just a walking sim or virtual tour. There are a lot of adventure gamers who are looking at this and asking for substance, narrative and puzzles. I wasn't sure if that would be viable but it was always a hope in my creative vision as well. I'd had some ideas for that anyway, but was hesitant to move forward with them until now - not knowing how well the project would do from a sales standpoint, it was difficult to know how to tell a story when you don't have a clear idea of how long it should last or where it needs to end. Same goes for game mechanics and a string of puzzles that interconnect - better if you have a defined point to head towards and can plan for a particular goal. The 'area 25' end point is a compromise and I hope this game sells well enough to go beyond even that somewhat ambitious target. That 25th location would complete the main batch of interlocking puzzles as well as the story - it would be the point at which a conclusion is reached and the player's questions are adequately answered. Anything updated beyond that in terms of story or puzzles would be tangential - worlds added on later as bonus, for the sake of the visuals and atmosphere and to reward the player for having made it to the end. There is some digital animation blended in, usually the skies are by necessity, digitally added [otherwise when you'd look up you'd see the roof of my garage!] and some other minor elements are likewise 3D. I felt that digital fluid simulation, for example, would move more nicely than a stop-motion or still ocean, and to that end I took a simple 3d version of the worlds as needed, and ran fluid simulation through that, reflecting low-res photogrammetric scans of the miniature worlds! It has been a long and computationally intensive process, and soon a lot of the results will be viewable on this page! 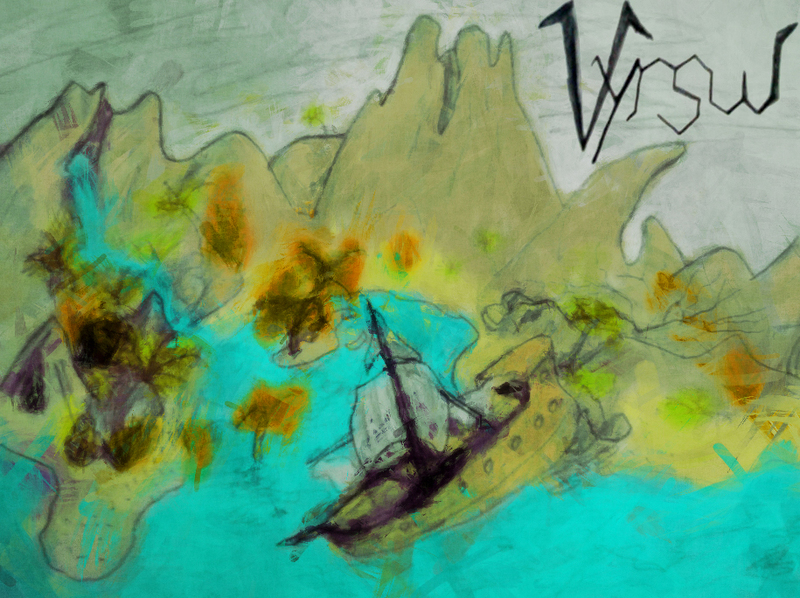 Vyrsul - a world sculpted in miniature. As for the game engine, this project now uses Unity 2018, and the tour system makes extensive use of PlayMaker's visual scripting, along with other assets such as a bunch of very nice postprocess shaders and effects. Between miniature supplies and handcrafting the models, the Unity assets, and the camera stuff, I think it has easily already wound up being a $1100+ effort that also involved a large amount of work and time on my part. And if it succeeds, or perhaps even if it does not, it's only the start. I'm fairly determined to hit the 25th-area mark and finish the core story, even if it takes longer than planned, and costs me a lot. You may have noticed that I am working on a long list of games - yes, realtime 3d adventure games - including Spiral Skies, Vortex, Panoramic Worlds, and Isola. 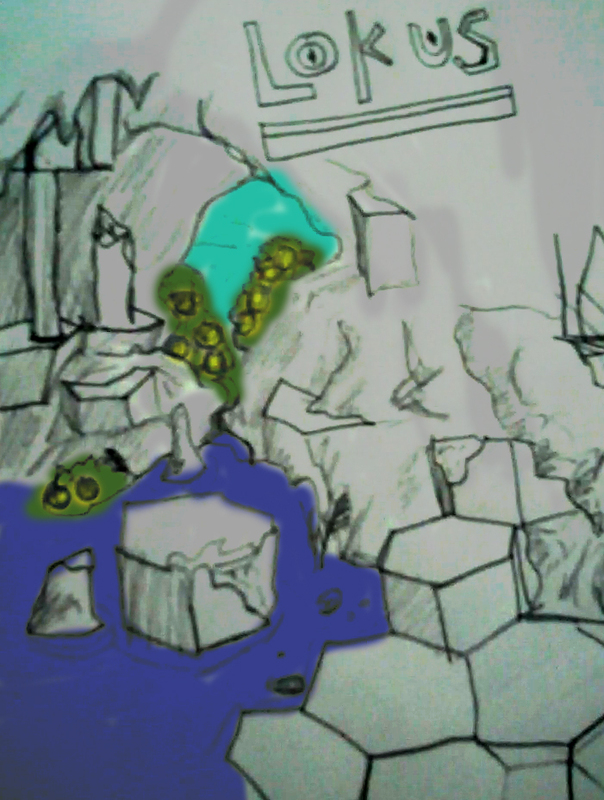 I'm also doing, or at least in the early stages of making, a few other visually appealing game projects in other genres, such as a top-down arcade racer, a pinball game, and a miniature golf game which is called "Vivid Minigolf" but which uses miniature courses, thus resulting in the ongoing joke that it's 'miniature miniature golf'. And then there are some other unrelated things like a video channel, still art, stuff like that. But bottom line: Any purchases you make here - buying Miniature Multiverse, or tipping, will go towards updates, and more creative work. It won't be wasted, I'll use it efficiently, primarily - first and foremost - for expanding this production but also to some extent for other creative work you will all likely enjoy seeing, especially if things are going really well and there's enough extra to justify allocating any of the funds to the other projects. This is actually going to be a very lean independent development process, particularly given the fact that I have no salary included in the expected final $1280 cost figure. It's a personal passion project, always has been. And fully 100% of any tips you give in support beyond the price on Itch.IO, are directed to expanding this specific project, they'll go nowhere else. I'm optimistic that when this launches (soon - my current revised release target is April 21, 2019) it'll be successful enough to sustain active development for a long time. If you're wondering where the images and video are, this is just the first draft of the page - a lot of visual stuff will be uploaded as time passes. Until then, check out the official website, also rapidly developing and recently beautifully overhauled, MiniatureMultiverse.com.